This is recent so you know what I look like. This is where I tell you something about me, and after all, you clicked on the link to this page even though I made it the last menu item. I started doing photography as an 8 year old with my fathers old Argus C-3. For those of you old enough, that was a basic brick of a rangefinder camera that could probably be used as a small boat mooring anchor or at least a door stop. It was totally manual, had a spring loaded shutter that you cocked for every shot that made a distinctive "ping" when you took the picture. I learned the old Kodak sun at your back "sunny 16" rule with it. The exposure chart that came with film was taped to the back of the camera for reference. I got serious about photography during my college years at Curry College while getting a BS in Biology in 1977. I did most of the sports and PR photography for the college while also managing the darkrooms, being a teaching assistant and lab supervisor when Curry took over Children's Hospital nursing program. After graduating from Curry and intending to pursue a masters degree in marine biology (I also have an underwater photography certification) I took a detour into the family mechanical engineering firm, where in addition to doing mechanical design and construction supervision I continued doing photography of job sites to document conditions and progress as well as finished project photographs for advertising purposes. While there I began studying electrical engineering at Northeastern University, but didn't have the time to finish. Upon escaping from the world of engineering I did a 2 year stint working in a studio/camera store while going to school nights at New England School of Photography. 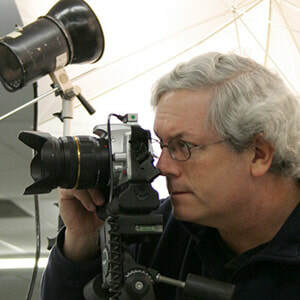 Linehan Photography began business in February of 1984 in Gloucester, MA, initially starting with a variety of industrial and architectural clients, most of whom I'm proud to say I still work with today. The vast bulk of my work back then was shot in medium and large format film explaining the original logo graphic, the ground glass of my 4x5 view camera. I've since had the opportunity to work with a very variety of clients needing a full range of photography and imaging skills. The foundation of my work is my ability to do lighting. What is photography without great lighting? Over the years I've had friends and clients who have brought me in to photograph a wide variety of assignments beyond the commercial work which has been the foundation of my business. I'll let the individual galleries of images stand on their own for showing the range of work I'm capable of and quality of the lighting I bring to my images. I can't emphasize enough that it's my lighting capability that I feel separates me from many other photographers who try to make do with just available light, good enough are two words I don't use. I like total control over my finished images so combined with my ability to light and photograph almost any subject I've been a very long term user of Photoshop, going back to Version 2.1. I was a beta tester for Adobe on Versions 2.5-5.5 for both Mac and PC. Originally I was educating myself so that I could discuss Photoshop work with someone who was doing it for me, but I found I was forced to do more and more as I came to realize that many so called Photoshop experts just weren't. In the area of making an image ready for publication on the web, in print or for display I'd like to think I'm as capable as anyone out there. I was also a bleeding edge, early adopter of digital photography. Given that so much of what I do was, and still is, time critical, we need it yesterday, you need to know you have the shot as quickly as possible. Digital photography was an advantage I fully adopted as soon as it the image quality and resolution reached a level that the images would meet my client's needs, be it web, print or large print display. I now utilize in-camera wi-fi so that client can immediately view much larger preview images on an iPad. When necessary I can bring a laptop on location and either provide the client with images to their specs immediately or put up an online preview site so that other scan view and utilize images immediately if necessary. I continue to upgrade equipment on a regular basis as digital technology improves and can rent equipment when a client needs extremely large and/or high resolution images. When not working I'm heavily involved with the Eastern Inter-Club Ski League. 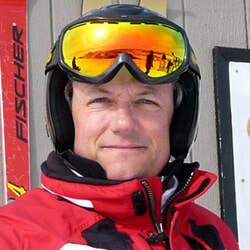 A skier since I was 5 and an EICSL member since 1973, I'm currently a board member and Past-President of the league as well as current Travel Chairman and Webmaster (still looking for someone who knows what they're doing there) as well as President and Race Chairman of the Blitzschnell Ski Club (yes, I still race). The league is a year-round involvement, but once again proving that life comes full circle I've been spending some time as an instructor at the Blue Hill Ski Area in Canton, MA where I started skiing. Teaching at Blue Hills replaced coaching youth soccer which I did for more than 10 years while my daughter was growing up. I've also been involved with several New England Over-the-Hill Soccer League teams as well as sailboat racing, bike riding, canoeing, and hiking. If you are associated with a charity or other good cause that can benefit from photography, let me know. I'm happy to lend my assistance if my schedule permits. Call/text me at 978.337.1818 or email me at the address below if I can be of any assistance with your photography or imaging needs. I'm also happy to provide you with information on any of the organizations I've mentioned above. Congratulations, if you're here you've survived reading this to the end. LETS CHAT! If at any point you have a question about images, pricing, my availability or anything else photo related feel free to hit the Hello button in the lower right corner of the screen to chat. Provided I'm not with a client, driving or somehow unreachable I'll respond immediately. The chat system asks for an email address so it can send you a copy of the chat transcript so you don't have to take notes or try to remember what either of us said.